S’up?! Tad here, the resident family thrill seeker and videographer. I always have my green finger on the pulse of what’s hoppening in the parks, so I am toadally excited for some of the upcoming events, rides and new lands coming to Disneyland Park, Disney California Adventure Park, Universal Studios Hollywood and more. Let’s hop to it and explore what's coming to Disneyland and Universal in 2019 and beyond! Get Your Ears On: A Mickey and Minnie Celebration — Jan. 18, 2019 through TBD — Turning 90 is a big deal for a mouse, so starting January 18, 2019, Mickey and Minnie continue to celebrate the big birthday with an epic park-wide party, and everyone’s invited! Every great party needs a theme, and theme of this one is Get Your Ears On: A Mickey and Minnie Celebration. You can eat exclusive food and purchase event merchandise. (Mommy Frog? Can we please go back???) Mickey and Minnie, along with Donald, Daisy, Goofy, Pluto and Chip 'n' Dale have put their party clothes on so that you can meet them in their new white confetti birthday celebration outfits in Liberty Square. 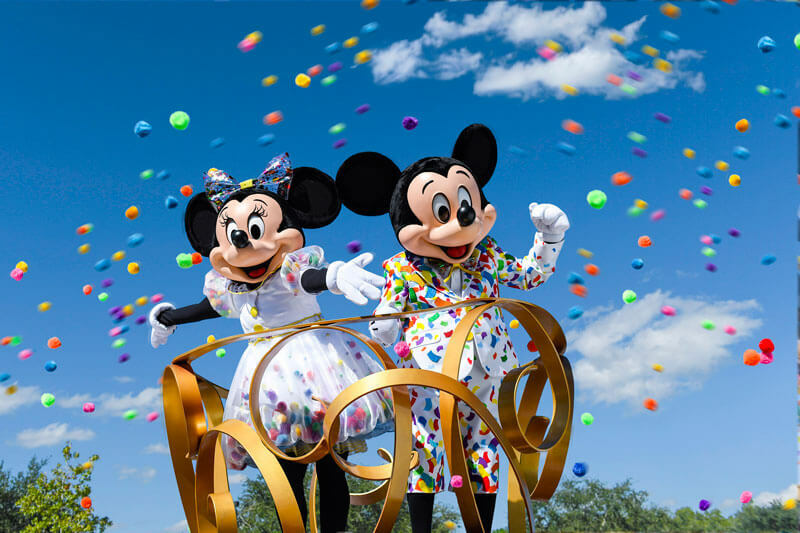 Mickey’s suit has colorful confetti on it and Minnie’s puff sleeve dress has pompoms and a bubble skirt. Each character's outfit is a little different. 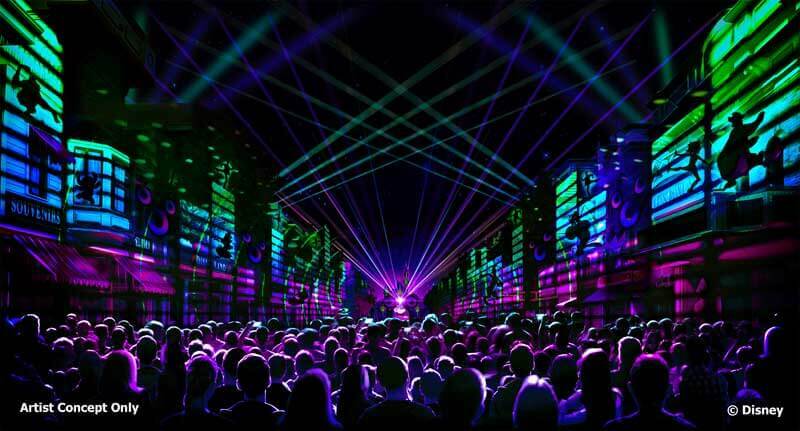 Mickey’s Mix Magic — Jan. 18, 2019 through TBD — This new nighttime projection show with music and lasers will turn Disneyland Park into a rockin’ dance party. Weekend and holiday nights are enhanced with fireworks. Mickey’s Soundsational Parade — starting Jan. 18, 2019 through TBD — This poppin' parade returns, with Mickey leading the way on a all-new float! Chip 'n' Dale lend a hand with a celebration cake. Suh-weet! Valentine's Day fun with Mickey and Minnie — Jan. 22–Feb. 18, 2019 — Minnie is still pretty sweet on Mickey after all these years, so she has a special celebration of her own. She hid valentines for Mickey around Disneyland during Valentine’s month. You can purchase a map and stickers to go on a scavenger hunt to find these hidden valentines. There are Mickey- and Minnie-shaped valentine treats and other ways to celebrate. Disneyland After Dark — Feb. 7 and March 7, 2019 — These private parties require a separate admission ticket and take place for four hours after Disneyland closes for the day (guests can mix in starting at 6:00 p.m.) Sweethearts’ Nite was Feb. 7, 2019, and featured love songs, encounters with favorite Disney couples, photo opportunities, sweetheart décor, and romantic food, beverage and merchandise opportunities. 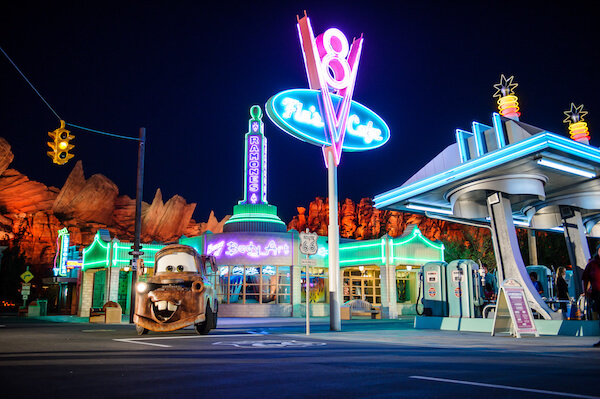 The '90s Nite on March 7, 2019 throws guests back to the 1990s and feature an exclusive fireworks show, a Disney Afternoon Avenue, the chance to meet rare Disney characters from the 1990s and photo opportunities. Plus you get a commemorative fanny pack — look at Disneyland making fanny packs cool again! Were they ever cool? Anyway, now I want one! Tickets for Disneyland After Dark events have sold out. Disney Princess Breakfast Adventures — Mar 30, 2019 — If you’ve been wishing on a star for a princess character dining experience to make a comeback, then your dream is coming true! Join the Disney Princesses for a fairytale experience in the luxurious Napa Rose in the Grand Californian Hotel. Breakfast is available Thursday through Monday between 8:00 a.m. and 12:00 p.m. The breakfast for all guests 3 and up is $125 per person (tax and gratuity not included). Star Wars: Galaxy's Edge — opening May 31, 2019 — Free reservations (and a valid theme park ticket) are needed to access the land May 31-June 23. After that, no separate reservations are necessary. 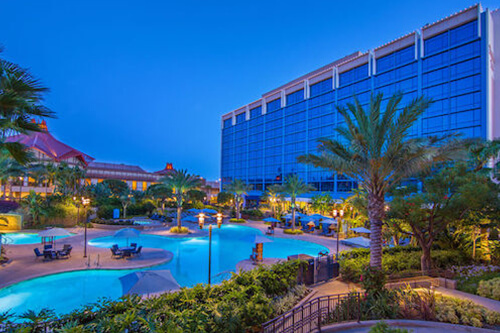 There are no details yet on how to get those reservations, but guests of Disneyland Resort hotels during those dates will be will be given one designated reservation per registered guest. Our frog squad is not alone in anxiously awaiting Disneyland’s Star Wars: Galaxy’s Edge! This is expected to be the largest and most immersive themed land yet. The 14-acre land will transport guests to a trading post on the planet Batuu, where the stories and characters come to life. This remote outpost on the galaxy’s edge is a thriving port, home to smugglers, traders and those seeking adventure (as well as a haven for rogues seeking to hide from the First Order). It will have a cantina where adults can order drinks with alcohol for the first time in Disneyland's history. Everyone can enjoy blue milk, a performance stage and two main rides. As a thrill-seeker, I am anxious to learn all I can about these rides. Here’s what I know: the six-person crew on Millennium Falcon: Smuggler's Run (opening May 31) ride allows you to pilot the Millennium Falcon (or act as a gunner or ship engineer) and take part in a critical mission (cool!). You can shoot blasters, pilot the ship and prepare for hyperspace. Your performance in this mission has consequences. You could earn galactic credits or end up on a Bounty Hunter’s list (which would cause problems if you show your face at the cantina). The other ride, Star Wars: Rise of the Resistance (opening later in 2019), is a trackless dark ride that puts you on a Resistance troop transport vehicle in the hangar bay of a First Order Destroyer. You'll get caught in the middle of a battle between the First Order and the Resistance (way cool). In this new land, you’ll encounter droids, creatures and other characters, be able to shop for a light saber and eat at quick service restaurant or a table service sit-down restaurant. Is the force with you? I think so. 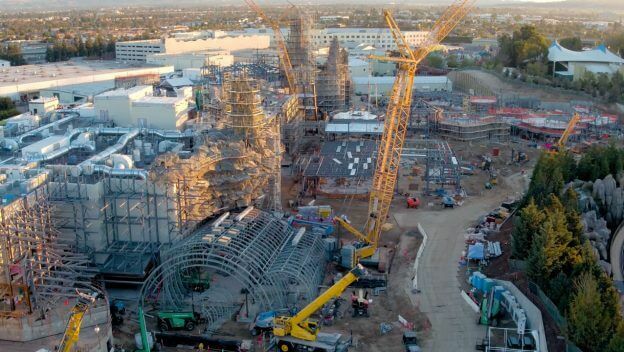 Capacity for Disneyland Park, Star Wars: Galaxy's Edge and its experiences is limited. Access to the park, land and experiences may be restricted or unavailable depending on guest demand and other factors. Star Wars: Rise of the Resistance attraction opens later this year. Park tickets, Annual Passports, vacation packages and Disneyland Resort hotel stays do not include special provisions for or guarantee access to Star Wars: Galaxy’s Edge. Star Wars:Galaxy’s Edge will not be available during Extra Magic Hour or Magic Morning. Millennium Falcon: Smuggler's Run — May 31, 2019 — Guests will hit hyperspace while piloting the famed Millennium Falcon on this headling ride that will offer guests three unique crew roles. Star Wars: Rise of the Resistance — opening later in 2019 — Guests step inside an epic battle between the Resistance and the First Order, with an appearance by Kylo Ren. Inside Out Headquarters and Pixar Pier Transformation Continues — In 2018, Paradise Pier was transformed into Pixar Pier with new neighborhoods, restaurants, characters to meet, new foods to try, shopping opportunities, and revamped rides (like the Incredicoaster and the Pixar Pal-A-Round). But there is another family-friendly ride to come, which will be perfect for my little sister, Lily. 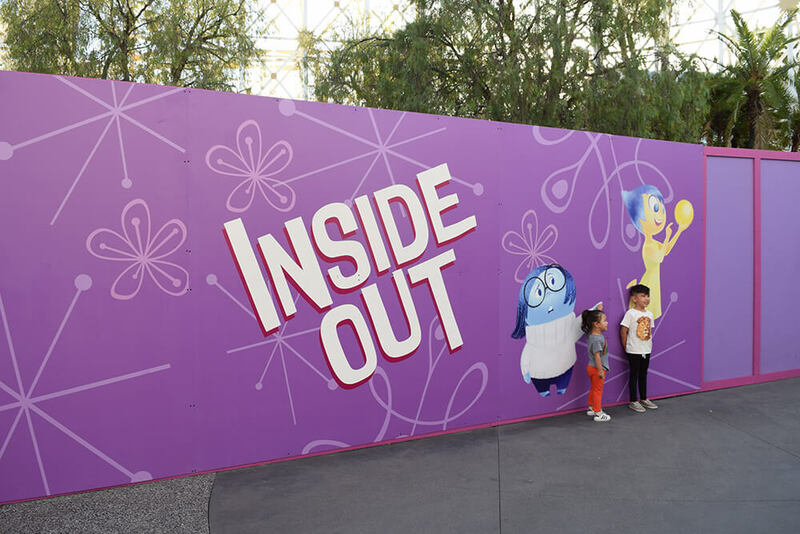 The fourth Pixar Pier neighborhood, Inside Out Headquarters, will be making its debut in 2019. The colorful Bing Bong’s Sweet Stuff has already opened with whimsical snacks and Memory Refreshers — frozen drinks of every color with toppings like cotton candy, popping pearls and colorful candy. The remaining areas of Paradise Pier from Paradise Gardens to The Little Mermaid — Ariel’s Undersea Adventure is now known as Paradise Gardens Park, but that area has not changed much. Jessie's Critter Carousel — now open — Mosey on over to this new carousel ride in the Toy Story neighborhood, inspired by the characters from Woody’s Roundup. It replaced King Triton’s Carousel and traded the sea creatures for woodland critters inspired by “Woody’s Roundup,” the vintage television show in “Toy Story 2.” Giddyup! Inside Out Emotional Whirlwind — Take a spin on the Inside Out Emotional Whirlwind. If you are familiar with the now-closed A Bug’s Land, this ride used to be Flik’s Flyers. “Mickey’s Philharmagic” — April 2019 — Mickey Mouse, Donald Duck and friends team up in this 3D show at the Sunset Showcase Theater in Hollywood Land. Donald comes across Mickey’s Sorcerer’s Hat and conductor’s baton while preparing the orchestra for Mickey. Donald magically enters a 3D dream world that takes him — and you, the viewer — into the world of Disney animated musical sequences from several classic films. Prepare to be swept away. Vampirina joined the Disney Junior Dance Party on Feb. 1, 2019 — Vampirina has joined the Disney Junior Dance Party, a high-energy show featuring music and popular Disney pals. Captain Marvel — has arrived!— One of the most powerful heroes in the universe will begin greeting guests ahead of the Marvel-themed land debuting in 2020. And speaking of Super Heroes … there’s a new Super Hero Party coming in Spring 2019. Disneyland After Dark: Heroes Assemble — April 30 and May 1, 2019 — The first Disneyland After Dark party to take place at Disney California Adventure is about to take off. At this separately ticketed event that takes place for four hours after the park closes, you can blast off into the past, present and future of some of your favorite Super Heroes. 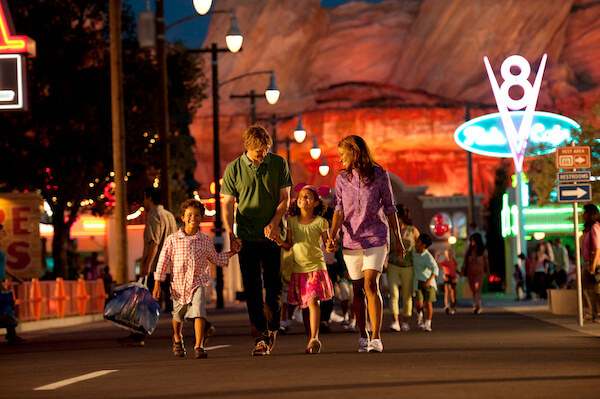 You can meet some heroic characters, enjoy special photo ops, rock out to music and enjoy popular attractions without the lines. Tickets go on sale to Annual Passholders on Feb. 19 and general admission tickets will be available Feb. 21, 2019. If this is a party you can’t stand to miss, you should race to buy them like you are a hero going to save the day because the last few Disneyland After Dark events sold out long before the events. During summer 2019, “The Lion King” will be roaring into Disney California Adventure to celebrate its 25th anniversary. A traveling troupe of storytellers will bring “The Lion King” Celebration to life through story, song and dance. You can enjoy music, crafts and more to honor the spirit of Africa. Meet Bo Peep – Summer 2019 — Come meet Bo Peep from “Toy Story 4” at Pixar Pier this summer. The movie will be in theatres June 21, 2019, and Bo Peep will be in park sometime in summer. Ballast Point — now open — serves up California cuisine, award-winning craft brews, and have the first brewery on-site in Downtown Disney. Naples Ristorante e Bar — now open — This restaurant reopened after a lengthy refurb. Black Tap Craft Burgers & Shakes — early 2019 — Enjoy luncheonette-style food with old-school hip-hop music and out-of-control CrazyShake milshakes #drooling. Pop-Up Disney! A Mickey Celebration — opens April 26, 2019 — Get ready to get your selfies on! This exhibition is popping up in the old ESPN Zone space next to the Disneyland Hotel for a limited time. The unique exhibition created just for Downtown Disney will feature colorful, themed rooms with vivid and imaginative displays inspired by everyone’s favorite mouse couple, Mickey and Minnie. The photo ops will be fabulous, including a giant Minnie bow sofa that will make the perfect place for you and your friends to lounge and pose for photos. Be sure to say "cheese!" Tickets are on sale now, starting at $30, and include five hour of complimentary parking. The exhibit runs for a limited time (tickets currently on sale through June 30, 2019). New bar — spring 2019 — A new bar is poppin' up (hoppin' up?!) in the pool area. It will be an expansion of the nearby popular White Water Snacks, which just underwent a refurbishment. Tangaroa Terrace, Tropical Bar and Grill — now open — This Southseas hideaway is expected to reopen with a slightly new name after a refurbishment. They sell coffee, breakfast foods such as pineapple upside-down pancakes and breakfast sandwiches. For lunch and dinner, they have tropical meals like Kalua-style poutine, and fried spam musubi, but the big excitement is over the Dole Whip and Dole Whip float (at prices cheaper than in the park)! Mommy Frog is looking forward to kicking back with a Dole Whip with a splash of rum. Disneyland Parking — Disney is building a new Pixar Pals parking structure adjacent to Mickey & Friends with over 5,000 new parking spaces. This much-needed structure is well under construction and expected to open no later than the end of July. The new structure will have six stories and will come with six additional entrance lanes, adding to the current 10 lanes. The new structure will feature a new electronic parking system designed to expedite the parking process. This will help us get into the parking structures and then to the parks even faster. Mommy Frog will love this time-saver, for sure! 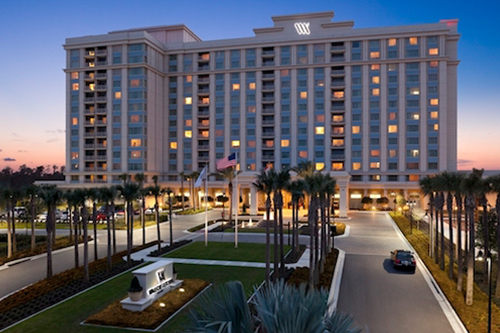 Disney will redesign the tram loading area to accommodate both parking structures. If you’ve ever wanted to get to Downtown Disney more easily from the parking structure, well that wish has been granted, too! The new structure will eventually have a pedestrian bridge over Magic Way, feeding into Downtown Disney, allowing you to skip the parking shuttle and get some food, play with Legos or do some souvenir shopping on the way to and from the parks. You could also hop on the Monorail from there to be transported straight into Tomorrowland. The Toy Story lot is also expanding with over 2,000 additional spaces and more entrances. Guests who park at Toy Story lot will begin going through security screening before boarding the shuttle busses to eliminate screening in the esplanade outside the theme parks at peak times. Running Universal 5K — May 11, 2019 — Have you ever wished you could run down the streets where movies like Back to the Future, King Kong, How the Grinch Stole Christmas, War of the Worlds and so many more were filmed? Get your running shoes laced up, because Universal Studios is opening up the gates for the first Running Universal 5K event Featuring Illumination’s Minions. The event kicks off May 11, 2019, with a 6 a.m. race time. You’ll rush through the front gates into the Upper Lot and make your way to the Backlot, racing through iconic movie sets. Finish at the 5 Towers on Universal CityWalk and find yourself surrounded by a party with live music, food and beverages (included!) and plenty of post-race swag (like collectible Minion pins and more). 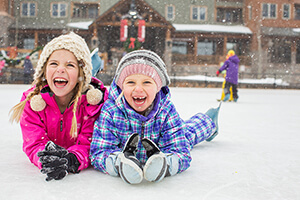 Runners must be at least 5 years old on race day — no strollers or baby carriers allowed — but you can wear costumes that fit specific guidelines. Register in advance. Hop here to find the route map, registration and Running Universal Minion 5K event info. Jurassic World – The Ride — Opening in summer 2019, date TBD, in the Lower Lot location that used to be Jurassic Park — gee, things evolve rapidly these days. This next generation ride will be part expedition, part water ride and will include new dinosaurs from the films. My heart is already pounding just thinking of the dinosaurs that are expected to be even more terrifying than before! Also in that lower lot area adjacent to the ride, Blue, the beloved but also terrifying Velociraptor you can meet during “Raptor Encounter,” will be getting a new area in which to eat — oops, I mean greet! — guests. (Seriously, have you met her? She’s terrifying!) Also, for tadpoles of all ages, a new interactive “Dino Play” area will add some educational components that will allow kids to excavate dinosaur fossils. The Secret Lift of Pets: Off the Leash! — Opening 2020 — If you’ve always felt like a puppy inside, then your imaginary tail must be wagging with the news that an all-new immersive ride based on “The Secret Life of Pets” movies is coming to the upper lot near Despicable Me: Minion Mayhem. The adventure includes star pets from the movies and will give you and other riders the chance to take on the role of stray puppies in search of a family. According to Universal Studios, “The innovative adventure will blend live, dimensional and animated characters with hyper-realistic media as guests zip along a track aboard ride vehicles through bustling New York City streets towards the Pet Adoption event and the ultimate happy ending: forever homes. Along the way, guests will face an array of challenges and meet up with fellow animal pals eager to help guide them toward their destination.” What a treat! Nintendo-themed area — date unknown — S’up gamers? While there are not a lot of details released yet, Universal Studios Hollywood is planning on bringing an expansive and immersive Nintendo-themed area to Universal Studios Hollywood in the next couple years. Check back for updates. 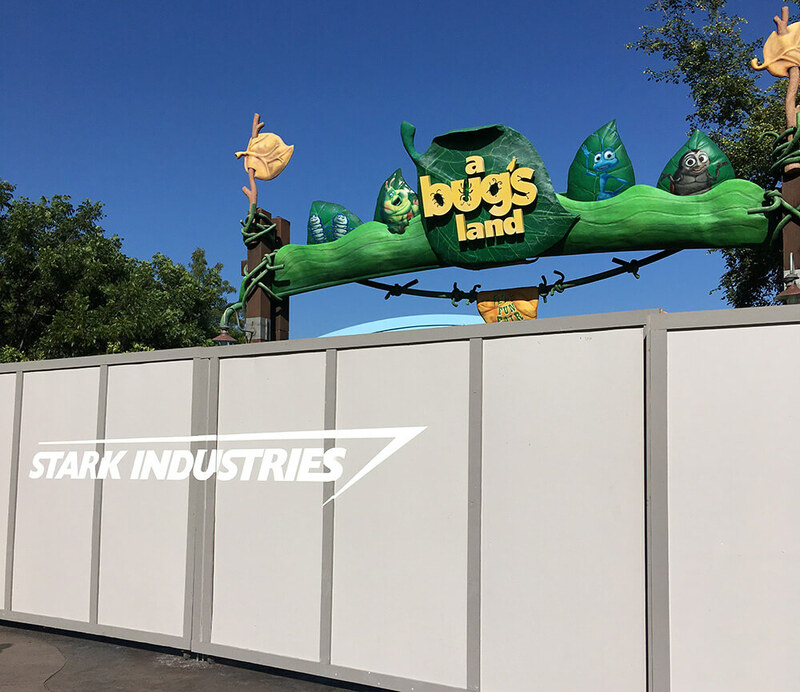 Marvel-Themed Land — opening 2020 — At Disney California Adventure, you can see walls surrounding the now-closed A Bug’s Land with the Stark Industries logo (from Marvel’s “Iron Man” movies) on the gates. Behind the fence, they are making way for a new, but yet-to-be-named, Marvel-themed land to open in 2020. 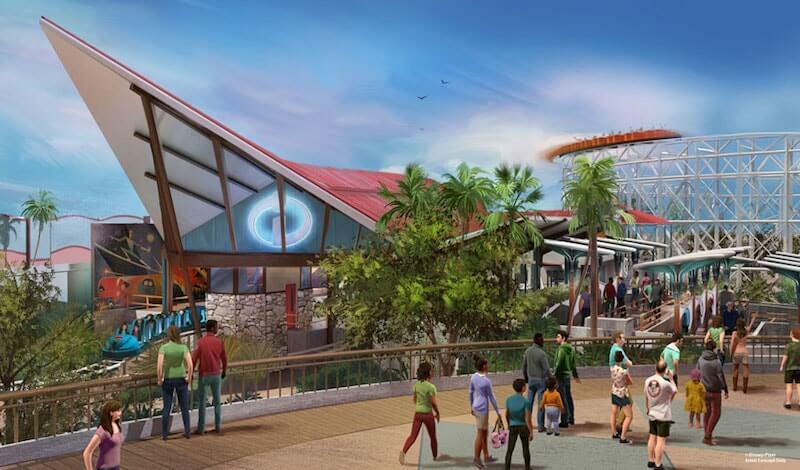 This Super Hero land will feature Spider-Man and the Avengers, including members of the Guardians of the Galaxy, Captain America, Doctor Strange, Black Widow, Thor Loki, and Black Panther with his Dora Milaje. In the meantime, you can ride the toadally awesome Guardians of the Galaxy—Mission: BREAKOUT! next to those Stark Industries gates and meet various Avengers in Hollywood Land or catch Star-Lord, Gamora and Groot in the Guardians of the Galaxy: Awesome Dance Off! WEB — An immersive interactive experience is coming to the new land. The Marvel story is expanding with an attraction-based organization (founded by Tony Stark) called the Worldwide Engineering Brigade (WEB), where guests can jump in on the action with their favorite heroes. According to the Disney Parks Blog, “Through a blend of never-before-seen technology and practical effects, guests will get to experience for themselves what it is like to have the abilities of a Super Hero.” Spider-Man may be swinging through the new land in a redesigned suit. The suit will be on display at Disney California soon so guests can get a taste of what’s to come. As if we weren’t already excited enough? If you are as excited about what’s coming to Disneyland and Universal in the upcoming months and years as I am, then you might be planning your next visit. 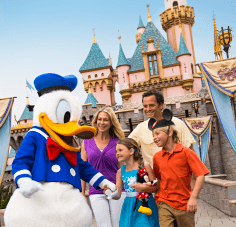 If you are looking for discount theme park tickets, rental cars, transportation or hotels near Disneyland or Universal Studios you can score some hoppin’ good deals on through Undercover Tourist. 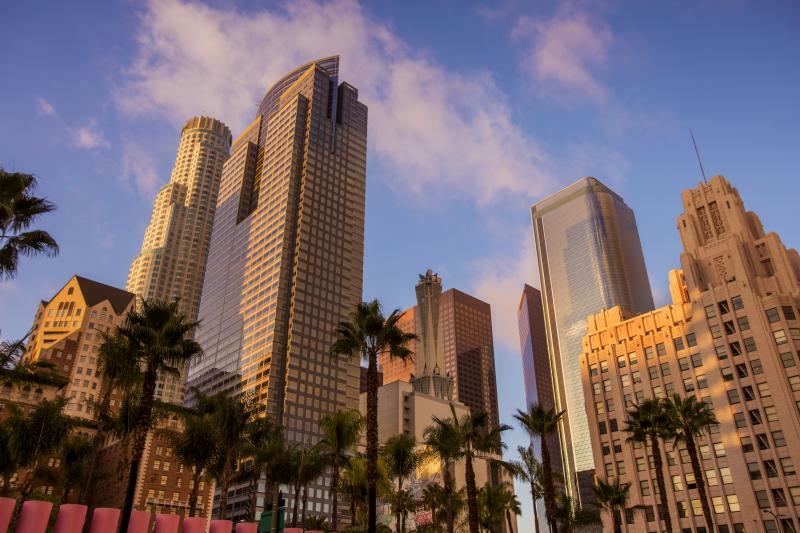 Choose “Los Angeles” and then you can narrow down your search. Looking at buying Disneyland tickets from undercover tourists. Small print says blackout dates apply. Where can I find the exact blackout dates? All of the terms are listed on the specific ticket page! Can't wait to visit DisneyLand, I've been to Disneyworld 3X and can't wait to visit and see the updates! Awesome place, loved by all the family. 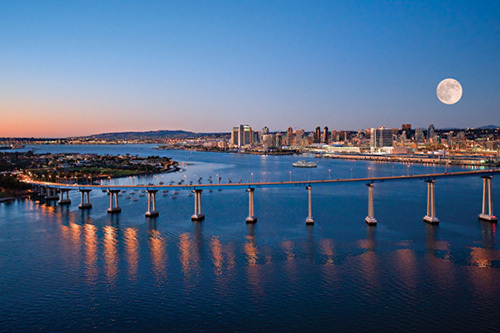 We're partial to Orlando, but the tripadvisor app makes either location awesome! It helped us see everything we wanted to do, some twice, by 1pm at Hollywood Studios, in early JULY!!!! Never been to Disneyland, hoping to one day go and see all this new stuff! I so wish we could go this year!! I can’t wait to go again and see all the new things! I need to plan a trip! Can’t wait for Kung Fu Panda!!! Lot's of exciting things coming up!!! I can't wait to go back. This would be such a cool trip to win! Undercover Tourist is the only one company that you should be dealing with. Top notch! Can't wait to visit again. So much to look forward to! This is a great site for Disney updates! A Guardian of the Galaxies ride, and Marvel Land?! Cool. It's been a while since I've visited Disneyland. Having visited both California Adventure and Disney World, I must say I prefer California! My grandson is getting old enough to go. Your site is the best! I use it every trip to Disney World. Thank you for all the latest news! Can't wait to plan my next trip with all your great tips! I can't wait to go back to Universal! Too many exciting things are happening there! An absolutely amazing trip to Disneyland (once) and to Disney World (2 times) the past couple of years. Could not have done it without this site - Undercover Tourist!!! Thank you for your tips! Love this blog!! Undercover Tourist never disappoints!! Can't wait to take my girls!! Have been to California theme parks many times, would Love to go to Universal Orlanda! I am SO excited for Galaxy's Edge!! I would love to visit the new Pixar Pier!! We always buy our tickets from Undercover Tourist before we arrive at WDW. Awesome service!!! So much great information - thanks! So much fun! And thanks for making trip planning so much easier! I just came back from Disney and COULD NOT HAVE survived without your app/website!!! Thanks!!! I just came back from Disney AND COULD NOT HAVE survived without your app/website THANK YOU!!! Looks like a lot is going on, and there will be lots of new stuff to see and do. I love Universal! Can't wait to see the exciting new things! I love the information provided by this blog! Can't wait to get back to Orlando! Love how they are expanding mobile ordering. Makes life easier!